Take time to Experience These Restaurants. Joe Tomatoes- Owen Sound-West A wonderful Menu that highlights apps, drinks, main meals and dessert. The Best Pizza can be enjoyed here. Birgittes Cafe- find her amazing sandwiches and breakfast options at the Artist Co-op and The Farmers Market on Saturdays. McGuinty’s- Meaford, Ontario- A lovely place to meet and eat, try our bagels as well as a few other homemade treats. Side Street Pizza- Chesley Ontario, Our thin dough recipe is whole grain, vegan and yeast free so it can enjoyed by most. Chatty Pizza- Same thin dough in 12″size feeds hungry Gf eaters. 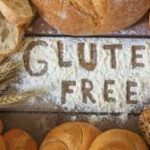 Kettles- Chatsworth Ontario, has our kaisers and bread to offer gluten friendly options- keeping in mind contamination can happen in this busy eatery.